If you are interested in achieving good oral health, then you will need the services of a general dentist. A general dentist looks after patients of all age groups and ensures they remain healthy and fit by taking care of their oral health. Also known as family dentists, general dentists are there for your entire family. If you are looking for a general dentist in Kirkland, WA, then look no further. With over 30 years of experience in the world of high-quality oral care, Kirkland Family Dentistry has you covered. Kirkland Family Dentistry offers a complete solution to all your dental requirements. Our preventative dental services will keep you and your loved ones as safe as possible from any oral health issues. We also offer maintenance services to help you handle dental problems like cavities. Moreover, we also offer cosmetic dental services to give you the perfect smile that you’ve always wanted. General dentistry covers a wide range of preventative and maintenance dental services. These include dental exams, regular dental checkups, and disease screenings. Most general dentistry procedures are non-invasive and do not require specialization. They are, however, important to maintain your oral health. >We suggest you visit us for regular checkups every six months. We’ll monitor your oral health to identify potential issues. In case there are problems, we’ll also perform the required procedure to keep your teeth healthy. This is important even if you feel no pain or other problems with your teeth or gums because many dental issues, such as cavities, often keep hidden until carefully examined by a professional. When it comes to oral health, and ounce of prevention is definitely worth a ton of cure. Preventive care is important as most serious dental issues do not appear out of the blue. There are signs and symptoms that should not be neglected. Identifying these symptoms at the right time can help prevent the spread of infections and other dental issues. In fact, the right preventive measures can reduce the risk of dental loss by up to 70%. Fortunately, general exams are non-invasive with little to no pain or discomfort. In fact, you will not even need to be sedated. The dentist will perform an exam and may also take x-rays to have a thorough understanding of your oral health. This may be necessary to find cavities and infections that could require a root canal. In addition to direct dental issues, we can help you overcome other problems that may not appear to be directly related to your oral health. These include sleep apnea and bad breath, both of which can be disruptive, and both of which can be solved with the help of a good dentist. Why Should You Choose Kirkland Family Dentistry? Kirkland Family Dentistry houses some of the most skilled and experienced dentists in the Washington area. Our team is led by Dr. Benjamin J. Greene, who completed his education from Case Western Reserve University and specializes in General Dentistry. With over 25 years of experience as a dentist in Washington, he and his team are ready to care for your every need. We are an affordable dental practice offering a wide range of general and specialized processes at our Kirkland clinic. Plus, we accept a variety of insurances and will make the process easier for you by dealing with the insurance company on your behalf. Our professional staff will take care of all your needs to make your experience comfortable and put you at ease. 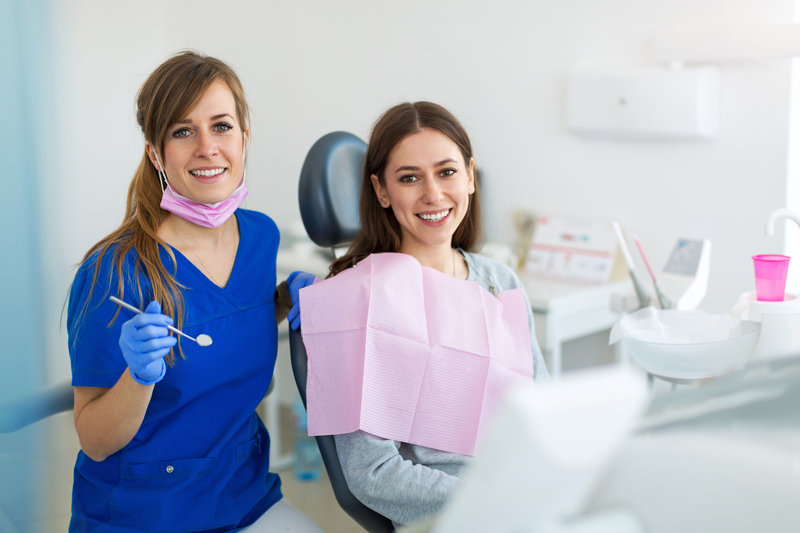 We have years of experience in handling patients of all ages and at all stages of oral health. Finally, we understand how scary a trip to the dentist can be for some people, especially children. Our staff is trained to support them and help them feel comfortable and at ease. Our practice is conveniently located at 1715 Market Street, Suite 104, Kirkland, WA 98033. Just enter the address into your mobile device to reach us easily. It’s also very easy to secure an appointment. Call or text (425) 822-0435 to book an appointment. You may also schedule an appointment online to get your queries answered. Remember that your oral health is directly linked to your overall health. Do not neglect the symptoms. Get in touch with us today.